Pasta Cacio e Pepe from Rome & Lazio. Italian food historians say that during periods when the shepherds stayed out with their flocks or moved them to different grazing areas, they would carry a number of dried foods to sustain themselves. 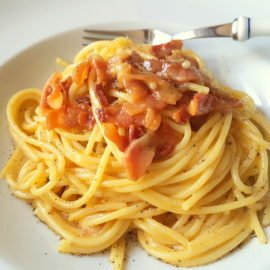 Foods such as dried tomatoes, dried pork cheek, cacio cheese (pecorino Romano) pepper corns and dried homemade pasta. From these ingredients, they produced simple filling meals like cacio e pepe and all’amatriciana. Apparently the pepper corns were included because they helped the shepherds to stay warm during the chilly nights outdoors! Pecorino was the cheese of choice because, as a sheep’s milk cheese, it was mostly homemade and once dried, pecorino has a long life. Pasta, of course, added bulk to the meal and was easy and cheap to prepare. 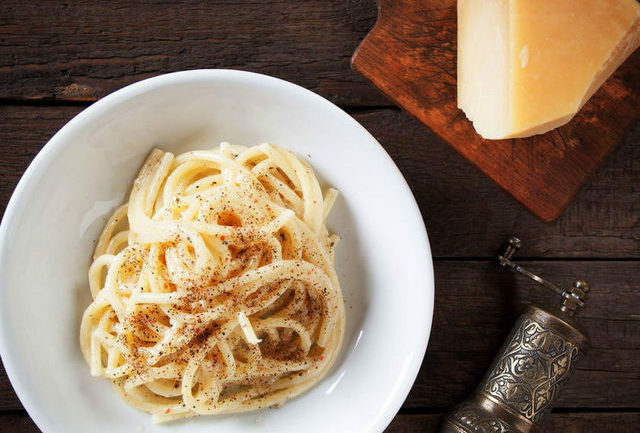 Cacio e pepe; New York’s trendiest dish 2016! It’s interesting that many of the ‘dishes’ that today can be found on smart Italian restaurant menus in Rome, as well as cities like London and New York, started out as simple fare for the poorer, rural Italian population. I recently read that cacio e pepe was declared New York’s trendiest dish 2016 by Time Out Magazine!! 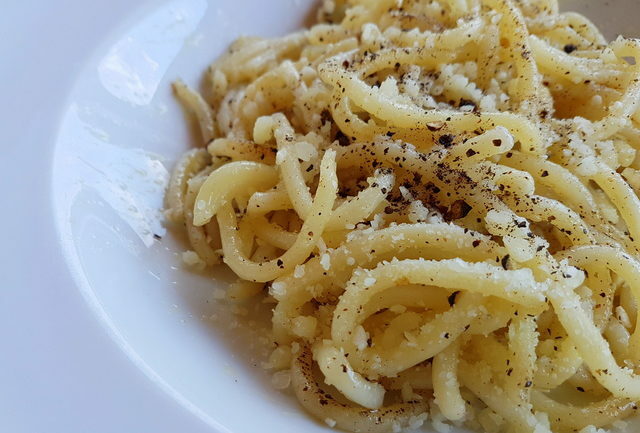 Despite being very trendy, cacio e pepe is far from pretentious. 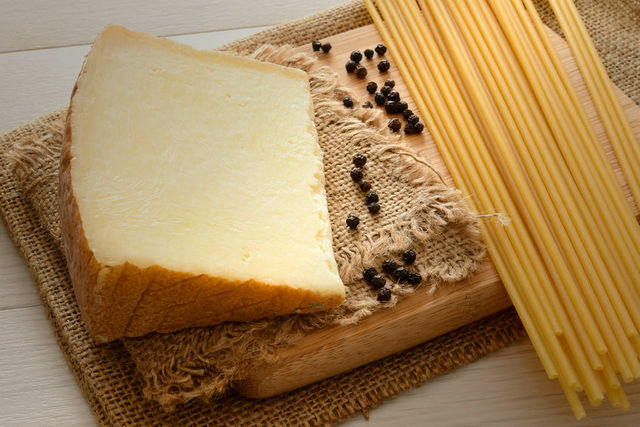 This easy to make (once you have got the hang of it) pasta dish needs only 2 ingredients, apart from the pasta, Pecorino Romano cheese and black pepper corns! 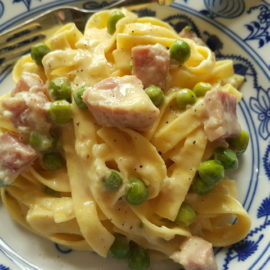 The only trick is to find the perfect balance between the cheese and the pasta so that the dish doesn’t turn out too dry or the sauce too lumpy or liquidy. Once you have got that right, this is a dish you can produce in less than 30 minutes, including the time it takes to boil the water for the pasta. Different ways to make a simple sauce! 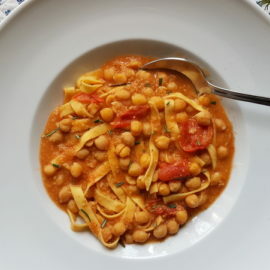 Believe it or not there are different ‘ways’of making this simple dish and in my research I’ve come across a number of articles, in both Italian and English on the merits of the different techniques! Some people just boil the pasta al dente, and then vigourously mix it with grated pecorino, freshly ground pepper corns and some of the pasta cooking water (reserved before draining the pasta) to give it a creamy consistency. This is what I did, although I cooked the pepper in a dry frying pan to bring out the flavour first. Others advocate mixing the cheese together with the ground pepper and some of the pasta cooking water in a bowl before adding the pasta to it. Another variation involves adding a little butter or oil to the pasta before mixing in the cheese, cooking water and pepper. In general, cacio e pepe may need a bit of practice to get right, but once you do, you are bound to fall in love with its peppery taste. To me it’s pasta au poivre! What kind of pasta should you use? There are also different views on which pasta works best. 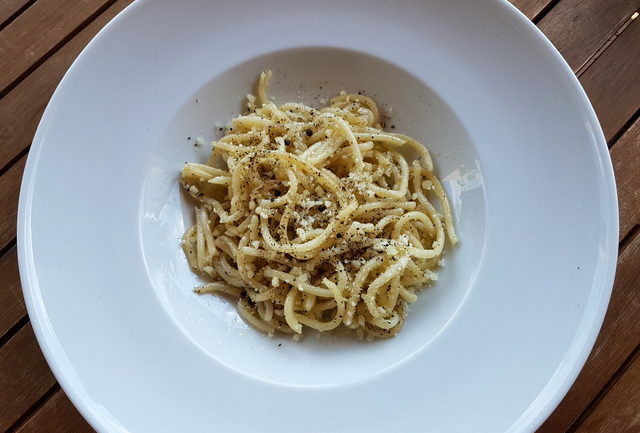 In Rome and Lazio, cacio e pepe is often served with either long pasta such as bucatini , spaghetti alla chitarra (called tonnarelli in Rome), lombrichelli or even just normal spaghetti (although some Roman chefs think normal spaghetti is a no no!) Others prefer to use short tubes like penne or rigatoni or something in between such as pici, short hand rolled thick spaghetti. 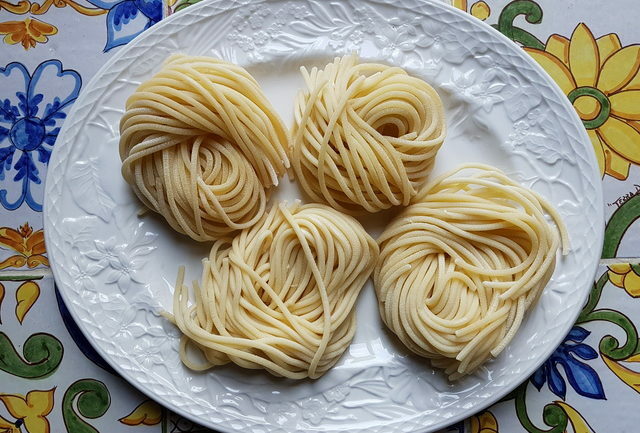 In the past, I have used bucatini to make cacio e pepe and for this post, I used fresh lombrichelli which I bought on a recent trip to Lazio. Obviously it’s great to be able to make cacio e pepe with traditional pasta. However, even if you have no other choice but normal spaghetti, don’t despair. It will definitely taste great anyway!